Iranian technology satellite.ranian technology satellite. 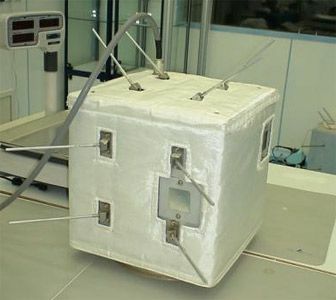 First Iranian-built, Iranian-launched satellite. Technology satellite for Iran National Space Administration (INSA), Iran. Launched 2008-2009. Status: Operational 2008. First Launch: 2008-08-16. Last Launch: 2009-02-02. Number: 2 . Gross mass: 27 kg (59 lb). Family: Shahab, Technology, Technology satellite. Country: Iran. Engines: Nodong. Launch Vehicles: Shahab 3, Safir. Launch Sites: Semnan. Bibliography: 6750, 12916.